Do you ever struggle to come up with ideas for your blog? I think all bloggers do, at some point. Sadly, this is one common reason why blogs get abandoned: the blogger couldn’t think what to write about, and days went by, then weeks, with no new posts … before they eventually gave up altogether. The great news is that there are tons of ideas all around you, just waiting to be written. And don’t worry about ideas having already been “taken” by other bloggers. What matters is not having a totally new, never-before-seen idea – but having a solid idea that you can bring your unique perspective and skills to. Whatever you blog about – writing, parenting, organisation, crochet – a fair number of your readers will be new-ish to the area. How do I not only get organised but stay organised? What are the best tools / books on organisation? How do I get other family members on board? Try It: Look at established blogs in your niche. What posts are on their “Start Here” pages? What questions often come up in comments? Do these spark off any ideas that you could write about? 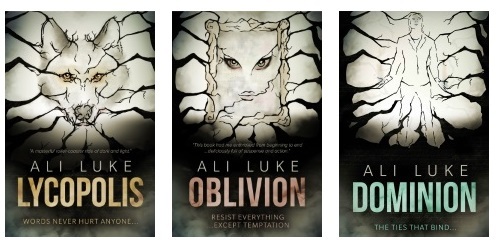 This common “rule” gets trotted out a lot by fiction authors giving advice to new writers … but it’s not always easy to understand why it’s important, and when you can ignore it! I wrote this post to clear up some misconceptions. If you’ve been working in or thinking about your topic for decades, then it’ll be hard to remember what it was like to be new. But if you’ve got started more recently, then hopefully you haven’t quite forgotten all your early struggles! How to find the time and energy for writing around my (non-writing) day job. Whether to focus on fiction or non-fiction as a career. How to master lots of the “craft” aspects of writing, like dialogue and descriptions (in fiction) and sales copy (in non-fiction). Try it: What were you struggling with a year ago? What do you wish you’d known then that you know now? If you’ve got any old diaries or to-do lists, those might help jog your mind. While I don’t have much trouble with motivation these days, it used to be a struggle for me. When I wrote this post (back in 2012) it was a problem I’d mostly resolved in my own writing life … but it wasn’t so very long since I’d struggled with it, and I could still remember what had helped. Over the years, a fair number of my blog posts have been my way of working through a particular problem I’m facing! I’ve seen plenty of other bloggers do this too – and addressing a difficulty you have, or a struggle you’re going through, can really help you connect to your readers. Don’t feel that you have to have all the answers. Sometimes, what people need most is the knowledge that you, too, struggle to be organised / find time / feel confident. It helps them feel less alone. Try it: What problem are you up against right now? How could you tackle that on your blog? 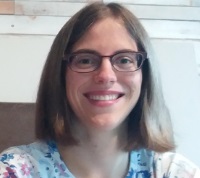 I came up with this plan to help me make reasonably fast progress on my own novel, despite being pretty busy with the kids, and wrote it up for the blog. While ideas don’t tend to come as fully formed titles, there’s nothing stopping you taking a title and using that as the starting point for your post. One easy way to do this is to look out for great titles and “borrow” them: use the structure of the title and change some of the words to create a unique take on it that’s appropriate for your topic. 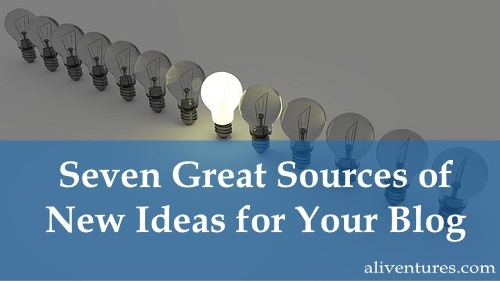 Take this post’s title, for instance: Seven Great Sources of New Ideas for Your Blog. Try it: As you read blogs or follow links on Facebook / Twitter this week, jot down any titles that particularly grab you. This post’s title was inspired by a previous post I’d written, 4 Reasons You Should Do NaNoWriMo … and 4 Reasons You Shouldn’t (and that was quite possibly a riff on someone else’s title, though it’s so long ago I now can’t remember). Have you ever read a post (or a newsletter) by another blogger and wanted to reply? Of course, you can leave a comment or drop them an email – but perhaps you felt like you had too much to say. Other people’s words and ideas can be a great sparking-off point for our own. Maybe you disagree with a fellow blogger about an important issue in your field … or perhaps you agree with them and want to expand on a point they made in passing. Try it: When you’re reading blog posts (or email newsletters, or books, or listening to a talk), stay alert for sentences or ideas that stand out for you. Jot them down as ideas for you to write about on your blog. This post was inspired by, and drawn from, a talk by Marty Coleman (aka “The Napkin Dad”): his talk was about creativity more generally, but I took his key points and applied them to writing specifically. Try it: This is a great time to get creative and have a bit of fun! Is there a popular TV show or movie that you could use as inspiration for a blog post? How about something new going on in your life (e.g. a new baby, a house move)? Written a couple of months after the birth of my first child, this post was a fun way to get back into regular blogging on Aliventures again. Some of the best ideas you’ll ever have won’t be from you at all … they’ll be from your readers. Keep an eye out for any suggestions in comments or emails, and let readers know that you’re very open to requests and suggestions. Try it: If you don’t have many comments and readers rarely email, create a simple survey (I use SurveyMonkey) to ask them what topics they’d like to see more – or less! – of. Make sure you give them an opportunity to write in their own ideas. I wrote this post early in 2011: the title was suggested by one of my readers, the lovely Michael Pollock. Ever since, it’s been one of the most popular posts on my blog. If you get stuck – or if you have any other favourite sources of ideas – then drop a comment below.